Gong Xi Fa Cai to one and all………..
Here’s wishing one and all a prosperous and happy 2018. 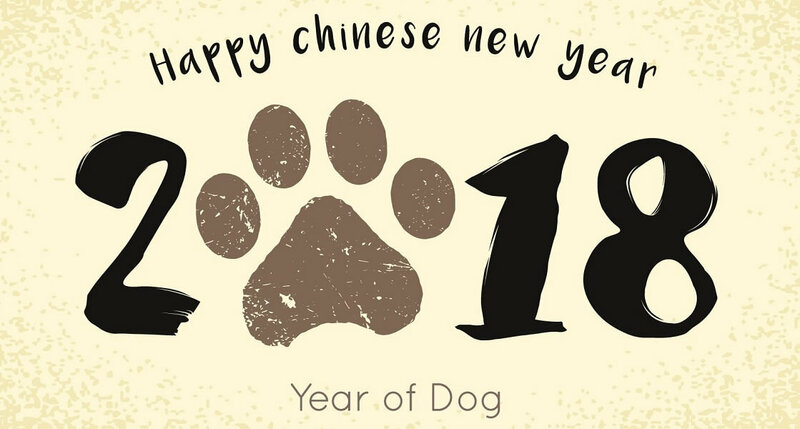 The Year of the Dog will probably bring more positives than negatives………….like the Dog we should all be positive, happy, hardworking, playful and loving throughout the year. Geo-political issues will continue to evolve, however, there is sufficient rational and mature politicians to manage the likes of Trump and Kim Jong-un. Global economies will the front and centre, as more and more economies have to begin grappling with the issue of monetary tightening. What is that going to do to their respective economies? What will that mean for trading countries? How will the balance of trade and balance of payments pan out? Which currency will be stronger and which currency will be weaker this year? Gold holding at US$1,333 is indicative of the tension amongst countries with geo-political issues, namely, the USA with the rest of the world, thanks to Humpty Dumpty Trumpy…………….making a mess! It also signifies that global economies could very well turn back south is the moderate growth is not managed well. The dialing back of both monetary and fiscal policies must be done gradually in order not to shock the economy and also the financial markets. The recent diarrhoea in the USA equity markets is testament that there isn’t sufficient fundamentals to support the runaway equity market. I am excited at the prospects for trading this year, are all of you? Let’s continue to keep up the dialogue and communication, you can reach me at twitter and here. Here is wishing all of us a great 2018!! !